Sir Frank Fox married Helena Clint, grand daughter of the English landscape painter Alfred Clint and great granddaughter of George Clint the theatrical and portrait painter. Sir Frank Fox became close friends with Norman Lindsay, initially through The Bulletin, and they were constant companions. They shared a love of riding and Lindsay described Fox as an ‘Equine Exhibitionist’. Most unusually Lindsay painted an equestrian subject – of Fox. It has been a somewhat obsessive, life-long project of mine to locate the portrait. My initial enquiries in Australia were met with distinct scepticism as to whether Norman Lindsay painted such a subject as it is so different from his well known images. However when en route to jackerooing in Queensland in 1967, I telephoned Lindsay. Whilst he was too frail to come to the telephone, his somewhat dismissive Private Secretary was persuaded to put the question to the distinguished old man, who promptly confirmed the provenance. 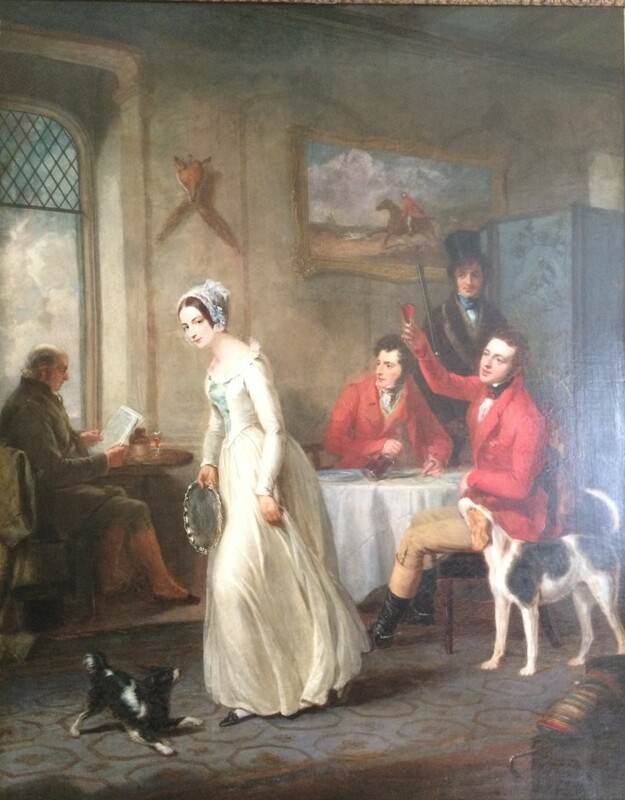 I have a photograph of the painting, with a clearly visible signature, which had been sent to my late Grandmother in England when the effects of the late George Holman, an Art Dealer, were sold in Adelaide in the late 1960’s. Unfortunately she could not afford to bid, but through the Director of the Art Gallery of New South Wales I later obtained a watercolour sketch of the portrait. A series of Newspaper advertisements has failed to produce a definitive lead for the work, but I remain in hope. Lindsay and Fox had what my Grandmother described as ‘a terrible quarrel’, the cause of which is obscure. However Lindsay subsequently wrote to my Great Grandfather in England to apologise – I have the letter. I suspect that the row may have been due to Fox’s refusal to reproduce some of Lindsay’s more risqué images in The Lone Hand. Sir Frank Fox, O.B.E., a well known and very popular ﬁgure in Fleet Street in the early part of the century, died on Thursday at the age of 85. He was a man of strikingly handsome appearance and of great enthusiasms. He had two great interests which surpassed all others: the British Empire and the Morning Post. He lived to see the British Empire of which he was intensely proud, blossom into the British Commonwealth of Nations and to see the Morning Post merged with the Daily Telegraph. Born in Adelaide on August 12, 1874, he was educated at Christ’s College, Hobart, before entering journalism. At the age of 18 he ws entrusted by the Australian Labour Party with the editorship of its periodical the Australian Workman. At 21 he was editing the National Advocate and championing the cause of Australian Federation. He joined the staff of the Sydney Bulletin, was acting editor for a time, and later founded and edited the Lone Hand. He ﬁrst came to London in 1909 and both in print and on the public platform he stressed the danger of a war in Europe. His views and those of the Morning Post were in accord and he accepted an invitation to join the staff, doing admirable work as its correspondent with the Bulgarian Army in the Balkan War. During the ﬁrst months of the 1914-18 War he represented his newspaper with the Belgian Army, but in December, 1914 he joined the Royal Field Artillery and was twice wounded during the Battle of the Somme. Thereafter he served on the Quarter-Master General’s staff in France and on the General Staff at the War Office with the rsnk of major, On dernobilization he returned to his old love, journalism and championed many deserving Empire causes. He organized the Empire Rheumatism Council and the British Empire Cancer Campaign in the north-western and northern counties and one achievement of which he was particularly proud was the creation of the Fellowship of the British Empire Exhibition which was established in many parts of the World. He was always a proliﬁc writer and one of his most notable efforts was a history of the Royal Inniskllling Fusiliers in the First World War. He had also some interesting views to express on Anglo-American relations in The Mastery of the Paciﬁc, published in 1928. He was appointed O.B.E. for his services in the First World War and was knighted in 1926. “I was blown up by a salvo shells in front of Le Sars. I refused to die on the battlefield.The gallant stretcher-bearers got me in. It was thus that my Great Grandfather Sir Frank Fox, described his experiences in the quagmire of the Battle of the Somme, in 1916. It has yet to be explained what a 42 year old Australian-born Captain was doing at the very apex of the front line. Whilst he remained a man of strikingly handsome appearance, so described in his Times obituary, the wounds that he received (a withered left arm, a stump of a right foot and almost total deafness) limited even this remarkable man’s activities and enthusiasms. I knew him well as I was 15 when he died. He was my childhood hero. Frank James Fox was born in Adelaide in 1874. His father having been banished to Australia after being converted to Catholicism by Cardinal Newman, now a Saint, when he was up at Oxford. It was only when I obtained his Birth Certificate that I discovered that my Great Grandfather was christened Francis Ignatius, which he subsequently de-Romanised. It is believed that he was offered a place at Oxford during his time at Christ’s College, Hobart, but couldn’t afford to take it up. He thus moved into journalism, becoming editor of The Australian Workman, at the remarkably young age of 18, and subsequently editing The National Advocate, promoting the cause of Australian Federation. Thereafter he served as the Acting Editor of The Sydney Bulletin where he worked with Norman Lindsay as Illustrator, and Banjo Paterson as Poet and Author. He subsequently founded The Lone Hand and became the Editor recruiting his former Bulletin colleagues as contributors. His first book was written at this time, “Bushman and Buccaneer: Harry Morant,” His Ventures and Verses, written under a pseudonym was the seminal work for the acclaimed British film, “Breaker Morant,” and probably resulted from Banjo Paterson’s friendship with Morant. He became close friends with Norman Lindsay, initially through The Bulletin, and they were constant companions. They shared a love of riding and Lindsay described Fox as an ‘Equine Exhibitionist’. Most unusually Lindsay painted an equestrian subject – of Fox. It has been a somewhat obsessive, life-long project of mine to locate the portrait. My initial enquiries in Australia were met with distinct scepticism as to whether Norman Lindsay painted such a subject as it is so different from his well known images. However when en route to jackerooing in Queensland in 1967, I telephoned Lindsay. Whilst he was too frail to come to the telephone, his somewhat dismissive Private Secretary was persuaded to put the question to the distinguished old man, who promptly confirmed the provenance. 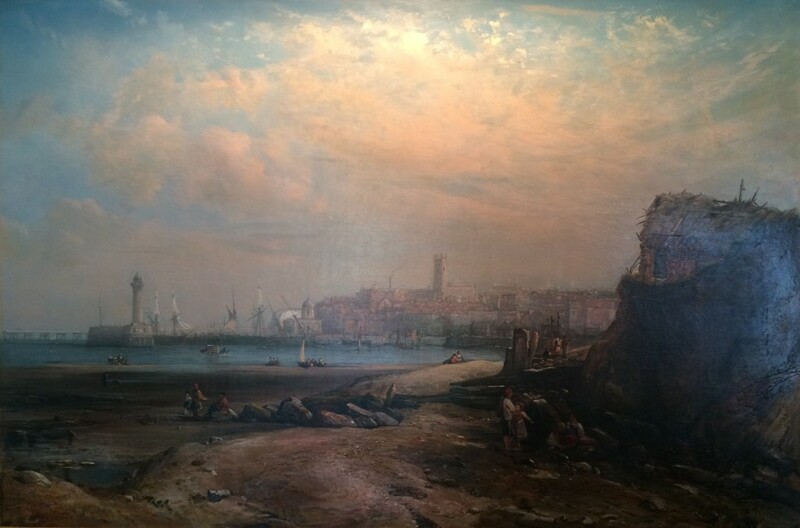 I have a photograph of the painting, with a clearly visible signature, which had been sent to my late Grandmother in England when the effects of the late George Holman, an Art Dealer, were sold in Adelaide in the late 1960’s. Unfortunately she could not afford to bid, but through the Director of the Art Gallery of New South Wales I later obtained a watercolour sketch of the portrait. A series of Newspaper advertisements has failed to produce a definitive lead for the work, but I remain in hope. Fox travelled to England in 1909 to warn of the dangers of a war in Europe. This came to the attention of The Morning Post and he was invited initially to join the staff and then became their War Correspondent in the Balkan Wars. He served in a similar capacity with the Belgian Army in World War I and reported the German Invasion in 1914. “The Agony of Belgium” (available to buy here) was the first contemporary account of the conflict before it became bogged down in trench warfare. Fox, during hazardous journeys by bicycle, reported atrocities to the civilian population, the use of human shields, the first use of Zeppelins and the sacking of historic buildings and churches. He witnessed the heroism of the Belgian Army as it prevented the taking of the Channel Ports at the Battle of the Yser in a bloody and ill-recognised engagement. He was so horrified by what seen, that he longed to become a combatant. Having been decorated for his services by King Albert he was commissioned into the Royal Field Artillery in the British Army and in so doing so he probably lied about his age. Having sustained his serious injuries, he worked for MI7 in London, then, impatient at being out of the action he pulled strings to be returned to France to serve in General Haig’s headquarters in Montreuil-sur-Mer. He must have cut a remarkable sight, with is arm in a sling and leaning on a crutch. He was awarded the O.B.E. Military, and was Mentioned in Despatches. His book, “GHQ” written under a pseudonym GSO gives a unique insight into the thinking behind the setting up of the GHQ in Montreuil in 1916 and what life was like there for the Staff in the planning of the final defeat of the Germany Army. Unlike other of his colleagues who were described as “Desk Officers”, he could write from two different aspects, having served for 1½ years at the Front before his severe injuries. He was a relatively elderly officer and his description of life in the trenches gives a surprisingly different view to those put forward by the so called “War Poets”. He describes prolonged tedium interrupted by periods of intense excitement. “GHQ – Montreuil-sur-Mer” is available via http://www.sirfrankfox.com/buy-g-h-q/. It has an appendix of previously unpublished Military Statistics of casualties, ammunition and supplies, which adds to the appreciation of Haig’s achievement. In peacetime he was a prolific author of some 35 books and applied his devotion to the British Empire through organising the Fellowship of the British Empire Exhibition, for which he was Knighted, and subsequently the British Empire Cancer Campaign and the Empire Rheumatism Council. In 1922, he invited to accompany King George V on his pilgrimage to the war graves in Belgium and France and wrote the official account of this and the opening of the Military Cemeteries in Belgium and in France following the first State Visit to Belgium. It is planned to re-publish “The King’s Pilgrimage” shortly. He had married Helena Clint, of a distinguished artistic family. She was the Granddaughter of Alfred Clint, an English landscape painter, and the Great Granddaughter of George Clint, the celebrated theatrical painter. After the death of his wife, he lived with his daughter, my Grandmother, near Chichester Harbour, where he was a familiar figure walking indominately with his distinctive gait, until shortly before his death in 1950. The author of this article Dr Charles Goodson-Wickes served as a Surgeon Lieutenant Colonel in The Life Guards in BAOR, Northern Ireland, Cyprus and with 7th Armoured Brigade in Gulf War 1.